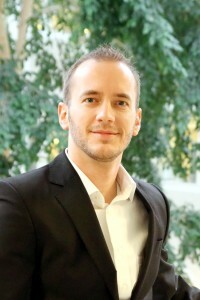 Frederik holds a Ph.D. in Business Administration, a degree awarded by Lund University (School of Economics and Management) and EMLyon Business School. Since 2014, he is also a member of the Academy of Management. His research interests are labor market transitions into entrepreneurship, mostly from an economics of entrepreneurship perspective. He also studies how business ideas affect the decision to enter into entrepreneurship using economic experiments. In 2013, Frederik won the J.M. Veciana Best Paper Award for his work "Investing effort under ambiguity: Experimental evidence explaining entreprneurs' work hours". Frederik has recently published his dissertation and a book chapter, together with his advisor Frédéric Delmar, studying the determinants of entrepreneurship. In particular, he studied the emergence of incorporated and unincorporated self-employment in Sweden.